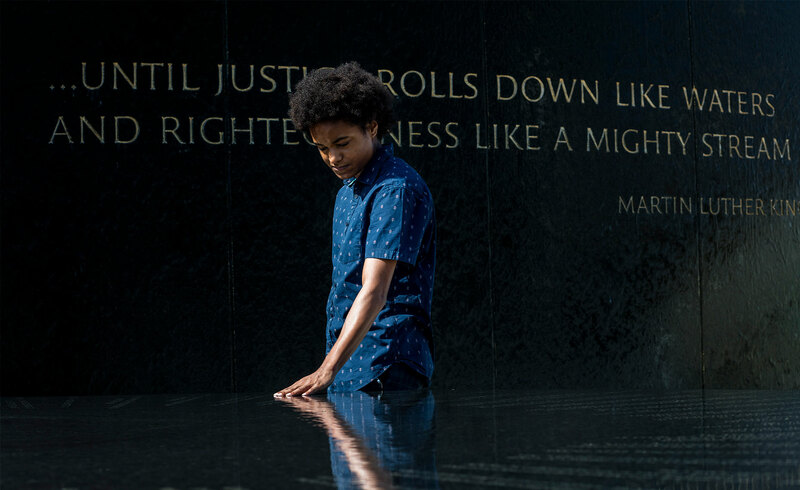 “… until justice rolls down like waters and righteousness like a mighty stream.” Dr. King’s famous paraphrase of Amos 5:24 is chiseled into the black granite of the Civil Rights Memorial, a moving tribute to those who died in the civil rights struggle between 1954 and 1968. Created by Vietnam Memorial architect Maya Lin in 1989, the memorial sits adjacent to the Civil Rights Memorial Center, sponsored by the Southern Poverty Law Center. Visitors are encouraged to touch the engraved names of the martyrs and reflect on their sacrifices. The center includes exhibits, educational activities and materials, a theater and the Wall of Tolerance.